At the current low interest rates getting refinanced seems to make even more sense than ever. However, there are a few reasons to avoid a complete restart on an old loan. A savvy homeowner will know that taking a loan with a large amount of equity paid into it and restarting it from scratch may be adding far more expensive interest than it saves. It isn’t necessary to completely restart an existing loan that you have paid into for years in order to take advantage of the great new interest rates available today. Making use of amortization, pronounced ah-mor-ti-ZAY-shun, a home owner can manipulate the payment schedule so that they aren’t starting from scratch with a brand new loan. When a new mortgage loan is started, the bank is more interested in getting as much of the interest paid back first. Every payment made to a loan contains two parts: interest and principle (actual loan payback). In the early years of a loan payback the sides of the payment are skewed heavily toward interest. If you have ever had a loan with several years paid into it and looked at the balance with shock, wondering why so little of the actual loan amount has gone down, amortization is the reason why. For the first 10 years of a 30 year mortgage, the larger portion of the payment is interest. If you get a new mortgage to replace one that is several years old, you forfeit all of the interest already paid into the loan, and still have most of the principle left to pay back. Last week’s mortgage rate, according to Freddie Mac, was 4.10 percent on a fixed-rate, 30-year mortgage. That rate is the lowest it has been in 2014 and the best rate available since mid-2013. That makes this a great time to consider refinancing higher interest loans. There are many types of loans for homeowners to help them get the financing they need such as HARP, VA Streamline refinance programs and FHA Streamline refinancing. •A 15-year fixed-rate mortgage would still have $123,000 of the principle due. That is 41% of the original loan amount. •A 20-year, fixed-rate mortgage would have $180,000 principle payment still outstanding; a total of 60% of the starting amount. •A 30-year, fixed rate mortgage would have a whopping $237,000 of the principle amount of the loan left to pay; 70% of the original amount borrowed. A quick look at the figures will tell you that with the shorter the loan period less time is spent on interest and more of the principle is paid quicker. A 15-year loan will have paid more than half of the loan off in less than half of the loan period, where the 30-year mortgage has hardly begun to pay down the initial loan. A 30-year mortgage needs 20 years to pay down just half of the loan amount. For that reason many homeowners believe a 15-year mortgage is much better than a 30-year mortgage. 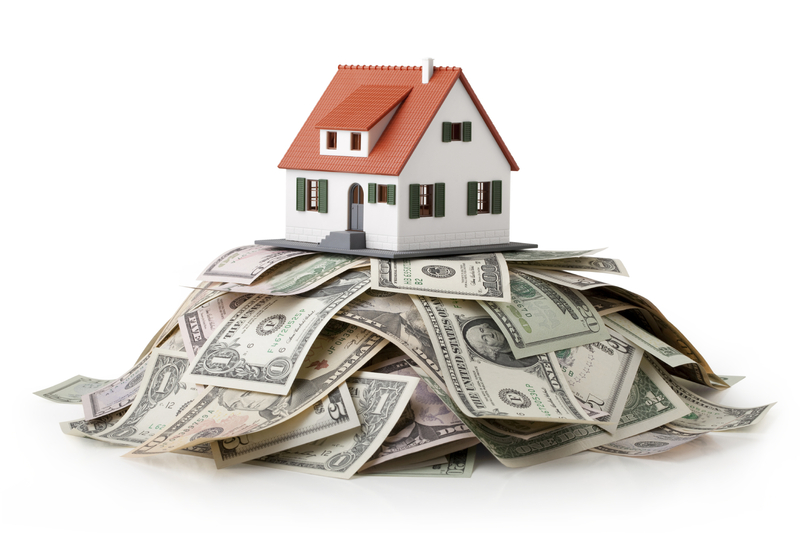 However, a smart homeowner can use amortization to their benefit and come out ahead of the game. As we have seen above, while getting a new loan with a lower interest rate has great value due to lower monthly payments, it can cost you a lot in interest paid if you start from scratch. There are ways around resetting a mortgage loan that will help avoid the costly repaying of all of that original interest. Here are two simple ways home owners can take advantage of today’s lower interest rates and get a great deal without being penalized by the initial interest. To start with, it isn’t necessary to get a standard 30-year, fixed-rate mortgage. Unless you need to get a USDA loan there are many options available for you to choose from to get the best deal possible. Because of the wide array of loan options, home owners are taking control of amortization and making it work for them instead of against them. The first way a home owner can avoid restarting a loan from scratch is to simply refinance the existing loan to arrange for shorter payment terms. This works by accelerating the interest amortization while giving you fewer payments over the length of the loan. For example: a homeowner with a 30-year, fixed-rate loan could choose to refinance for 20 to 15 years. This is especially helpful for a home owner who has already paid 10 to 15 years of payments on the original loan and does not want to create a new loan that would be far longer than what is left on the old one. In addition, the shorter loan terms means faster pay down of the interest and quicker pay off of the principle loan amount. At last week’s 4.10% interest rate a 15-year loan will incur 64% less interest than a longer 30 year loan. A shorter loan term will only work for homeowners who can afford to pay higher monthly payments. Payments on a short-term, 15-year mortgage can be as much as 45% higher than a 30-year mortgage loan. Because the number of payments is fewer, a larger amount of the loan must be paid to get the entire loan paid off in the shorter time span. However, far more of that payment is principle loan amount than with a 30-year mortgage payment. While a 45% increase in a monthly mortgage payment may be far more than the average homeowner can afford to pay, it is worth considering that a lower interest rate may offset much of the additional cost of a shorter payment schedule. It is important to sit down with your loan officer and discuss the costs and value to you in order to determine if a short term loan is your best option. A second option is to simply forgo a lower interest rate altogether and prepay the existing mortgage. By sending more than the payment amount each month to the mortgage company, you reduce the amount of interest due over the total length of the loan. Whether the amount you send is a few hundred dollars more than the payment due, or a complete extra payment each month, every penny you spend to pay down the mortgage early reduces the number of payments due at the end of a mortgage, and lowers the total amount of interest over the total length of the loan. The best option for homeowners who want to take advantage of the lower interest rates, have a shorter loan and reduce their payments is to go ahead and take out a new loan and then immediately pay down a portion of that loan. Sound impossible? If you can afford to continue making the same mortgage payments on a new loan as you had on the old loan, you can do this. It is simple and very cost effective. All you have to do is get a lower interest rate loan of the same length as the original loan. The lower interest rate will automatically make the payments on the new loan lower than the old one. However, in order to pay the loan down faster, shorten the time span of the loan and reduce the total interest on the loan, make the same payments on the new loan as you had on the old loan. An original loan of $400,000 at 4.75% interest that is 2 years old transferred to a zero-closing cost loan at the 4.00% interest available today will lower the total monthly payment of your loan by $246.00 every month. By applying that $246.00 to each current monthly payment a new loan will be paid off completely in 24 years. That reduces the total loan period from the original loan by 4 years, saving you a total of $90,000 in payments.